Update: Yasmin Seweid has been found safe. 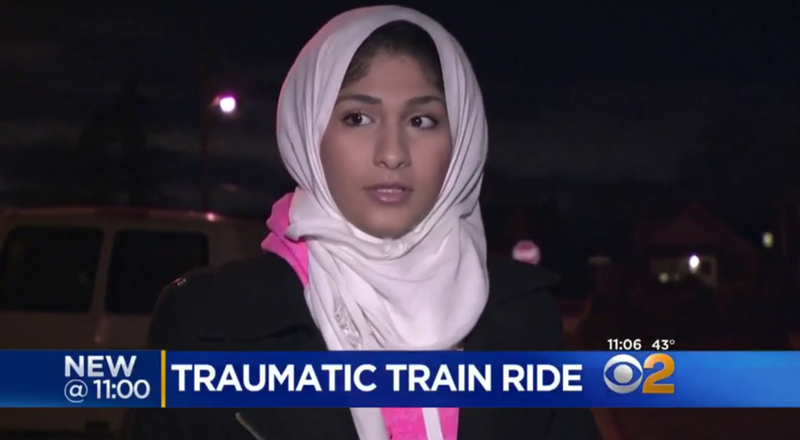 NEW HYDE PARK, N.Y. -- A Muslim teen who said she was verbally attacked by three drunk men on the subway last week has been reported missing, CBS New York reports. Yasmin Seweid, 18, was last seen leaving her New Hyde Park, Long Island, home on Wednesday, police said. She was wearing a black jacket, blue sweater, black yoga pants, and black head scarf and carrying a bag of clothing. Nassau County police said the Missing Person Squad is investigating. Seweid was described as 5 feet 9 inches tall and 150 pounds.